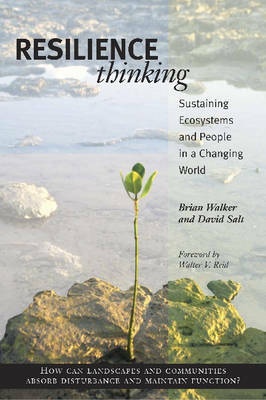 This book brings together a group of world-class scientists in an unprecedented effort to build a formal framework for linking local and indigenous knowledge with the global scientific enterprise. 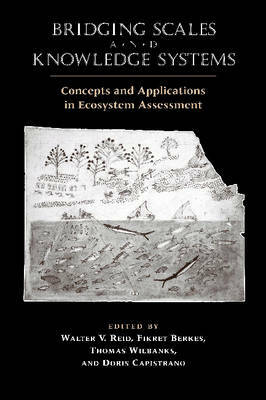 Contributors explore the challenges, costs, and benefits of bridging scales and knowledge systems in assessment processes and in resource management. Case studies look at a variety of efforts to bridge scales, providing important lessons concerning what has worked, what has not, and the costs and benefits associated with those efforts. Drawing on the groundbreaking work of the Millennium Ecosystem Assessment, Bridging Scales and Knowledge Systems will be indispensable for future efforts to conduct ecosystem assessments around the world. Buy Bridging Scales and Knowledge Systems by Walter V. Reid from Australia's Online Independent Bookstore, Boomerang Books. Walter V. Reid is a consulting professor with the Stanford Institute for the Environment, Stanford, California, and was the Director of the Millennium Ecosystem Assessment. Fikret Berkes is professor of natural resources and Canada Research Chair in Community-Based Resource Management, at the University of Manitoba, Winnipeg, Canada. Thomas J. Wilbanks is a Corporate Research Fellow and Leader of Global Change and Developing Country Programs at the Oak Ridge National Laboratory in Oak Ridge, Tennessee. Doris Capistrano is Director of the Forests and Governance Programme at the Center for International Forestry Research in Bogor, Indonesia.